How Is Trisomy 13 Diagnosed? Chromosomal abnormalities are one of the most common causes of miscarriage and stillbirth. In a condition known as trisomy, an affected individual has three copies of a particular chromosome instead of two (human beings are supposed to have 46 chromosomes, 23 pairs). There are several different types of trisomies including Down syndrome (trisomy 21), Edwards syndrome (Trisomy 18), and Patau syndrome (Trisomy 13). Patau syndrome is the most severe of the trisomies. Babies with Patau syndrome will likely have characteristic physical abnormalities, intellectual disabilities, and problems with their internal organs. The majority of affected babies die in the first month after birth or within the first year due to the health complications associated with the condition. Approximately 1 in 16,000 babies is born with Patau syndrome. Researchers believe that around 95 percent of babies with Patau syndrome are miscarried or stillborn. No one knows why some survive to term while others do not. Many babies who do survive do not live past their first week. Only five to 10 percent make it to their first birthday. 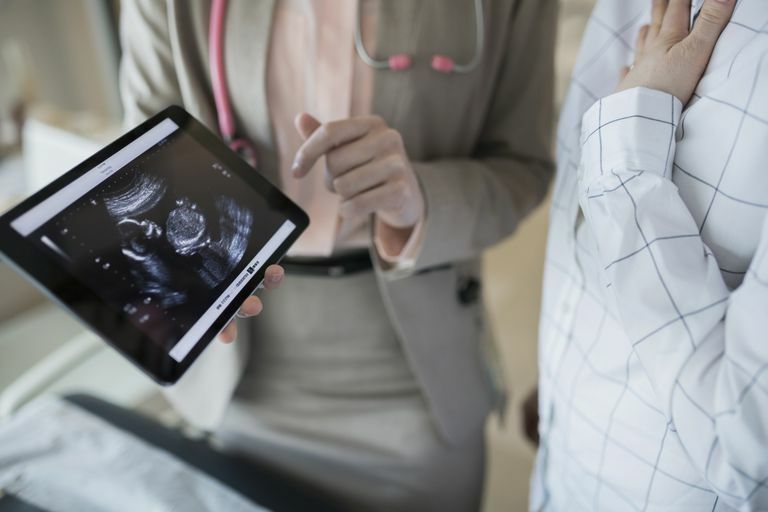 Prenatal screening tests such as the alphafetoprotein test and pregnancy ultrasound can reveal markers of possible chromosomal conditions but cannot provide a diagnosis. Only genetic tests such as amniocentesis and chorionic villus sampling (CVS) can provide a definitive diagnosis. It's also possible that Patau syndrome can be revealed as the cause of a pregnancy loss if the couple seeks genetic karyotyping after a miscarriage or stillbirth. Full trisomy 13: The most common type. People with this type have three full copies of chromosome 13. Partial trisomy 13: People have two full copies of chromosome 13 and an extra part of chromosome 13. Mosaic trisomy 13: Some of the body's cells had three copies of chromosome 13 whereas others have two normal copies. Most of the time, the cause of trisomy 13 is a random error in cell division during the formation of the egg or sperm, meaning the problem is present at the time of fertilization. In this case, the disorder is unlikely to reoccur. In rare cases, the parent may have a balanced translocation involving chromosome 13. People with a balanced translocation have an increased risk of having a child with partial trisomy 13 again. One of the first questions you may be asked if your baby receives a diagnosis of Patau syndrome is whether you want to continue the pregnancy (or pursue intensive intervention if the baby is born with health problems). During pregnancy, some parents choose to terminate babies diagnosed with Patau syndrome due to the generally poor prognosis and the desire to not prolong the grief of the loss. Others continue the pregnancy due to beliefs against abortion or because they feel they would rather have some time with the baby even if it turns out to be short. The same applies to babies diagnosed after birth –– some parents choose comfort care only, whereas others opt for intensive medical interventions even though the chances appear slim that the baby will survive infancy. If your baby has been diagnosed with Patau syndrome, you may experience any number of emotions from grief to anger to numbness to simply feeling overwhelmed. It's fine to take your time and process the situation before moving forward and making decisions or plans. There is no "right" way to feel and no single "correct" course of action to take with these diagnoses. You have to do whatever you feel you will be most able to live with, and the answer is different for everyone. Regardless of what you decide, it is fine to grieve the loss of the baby you were expecting to have. It can be helpful to join support groups for parents of babies with Patau syndrome or other serious chromosomal disorders. Patau Syndrome. National Library for Health. Genetic Conditions Specialist Library. Trisomy 13 - Genetics Home Reference. National Library of Medicine. How Do Babies With Trisomy 13 Patau Syndrome Survive?